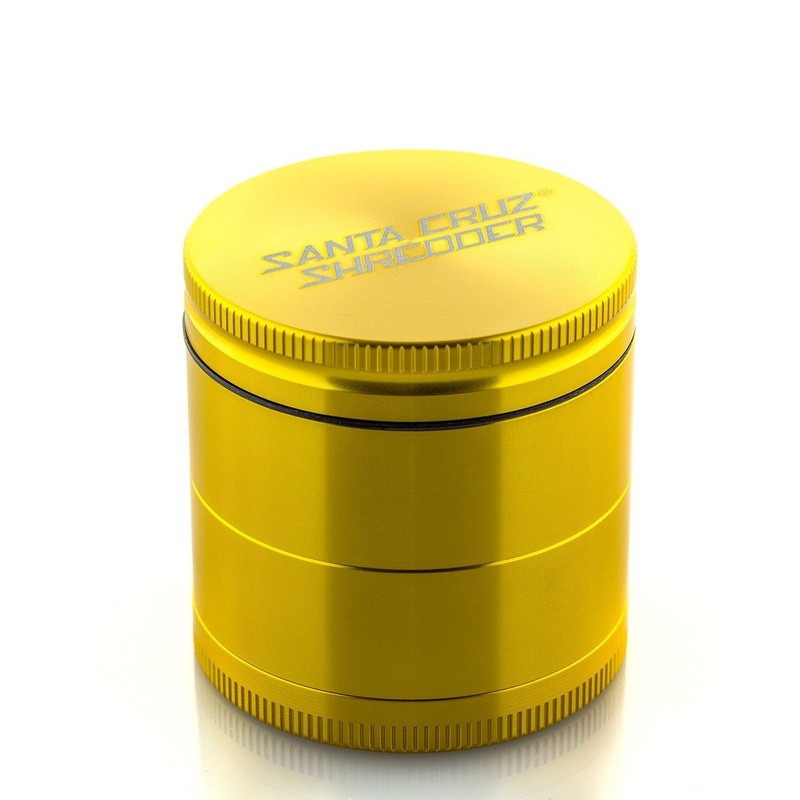 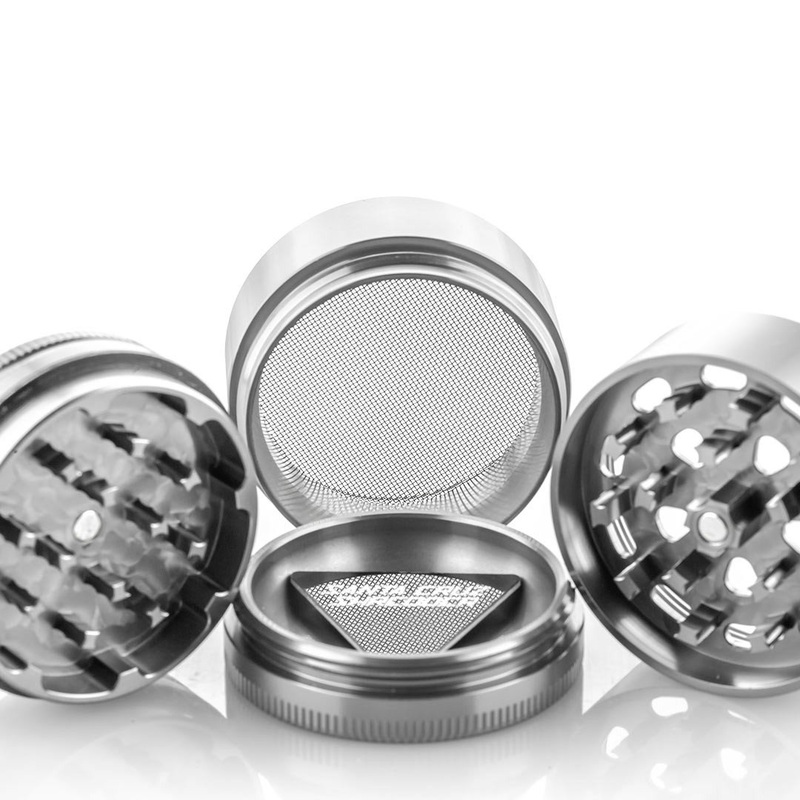 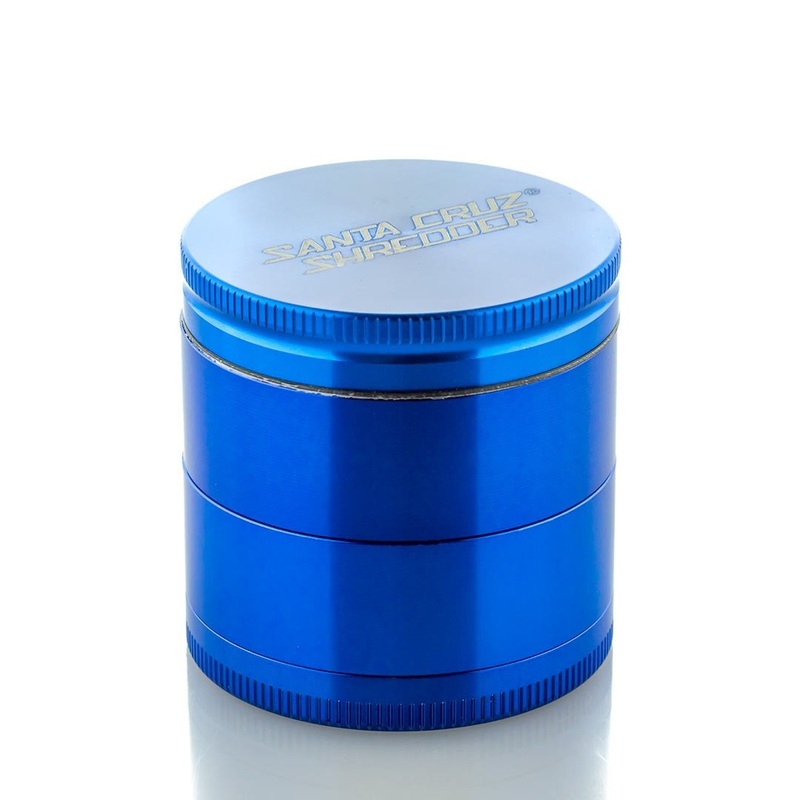 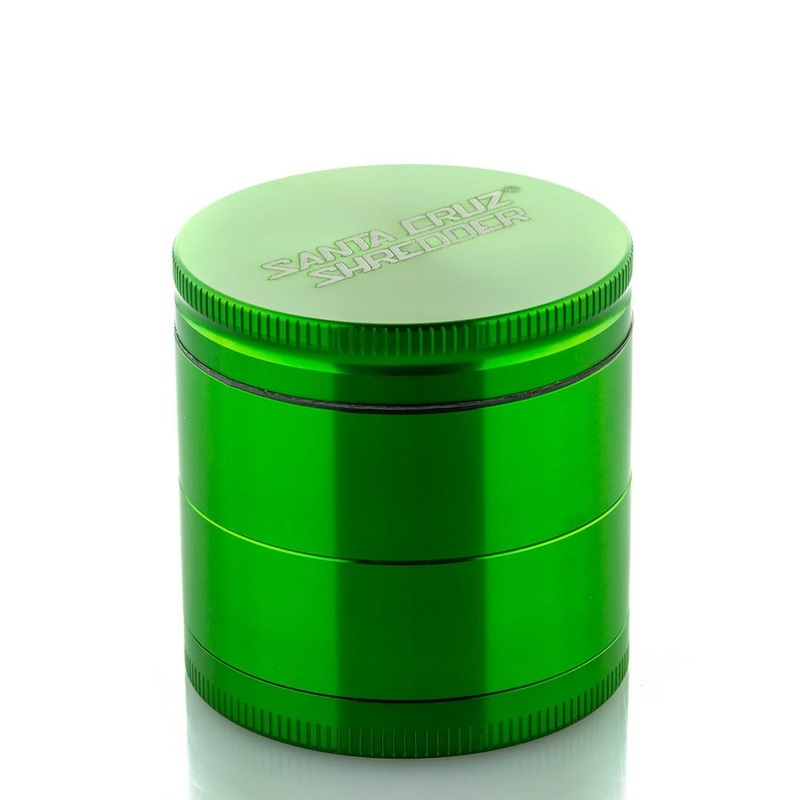 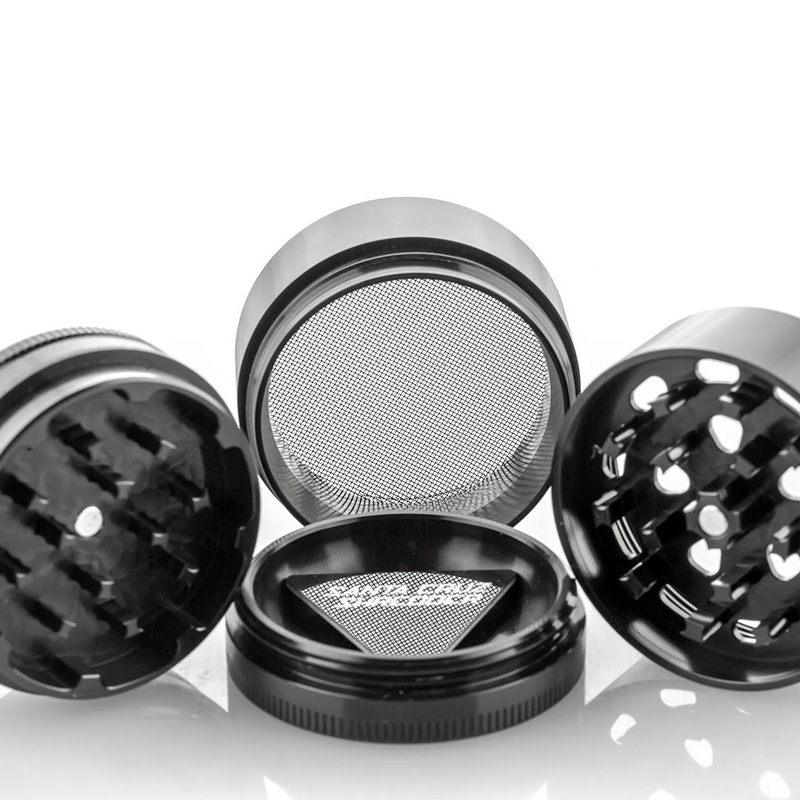 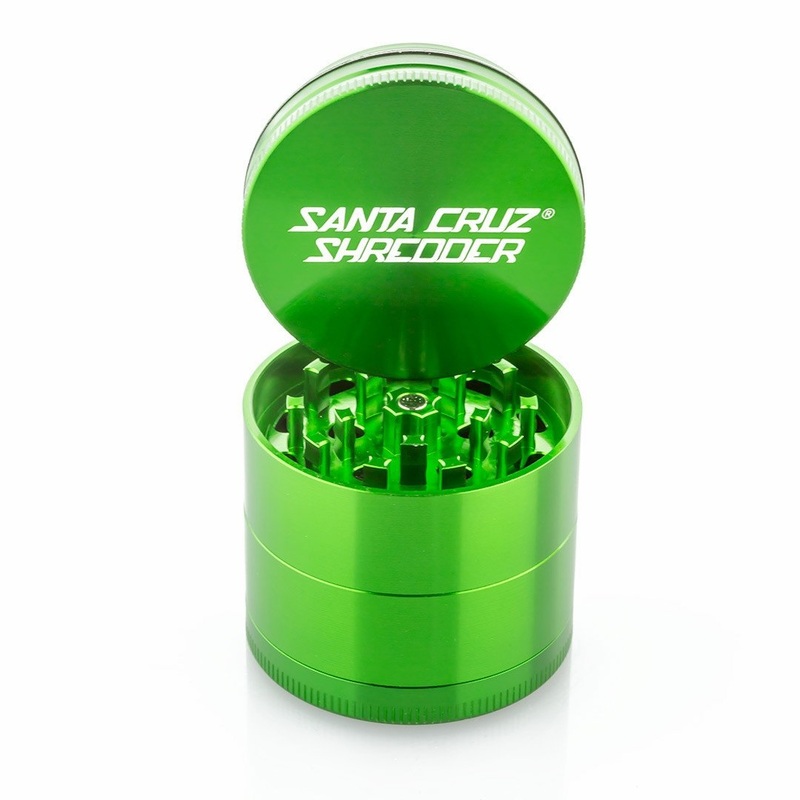 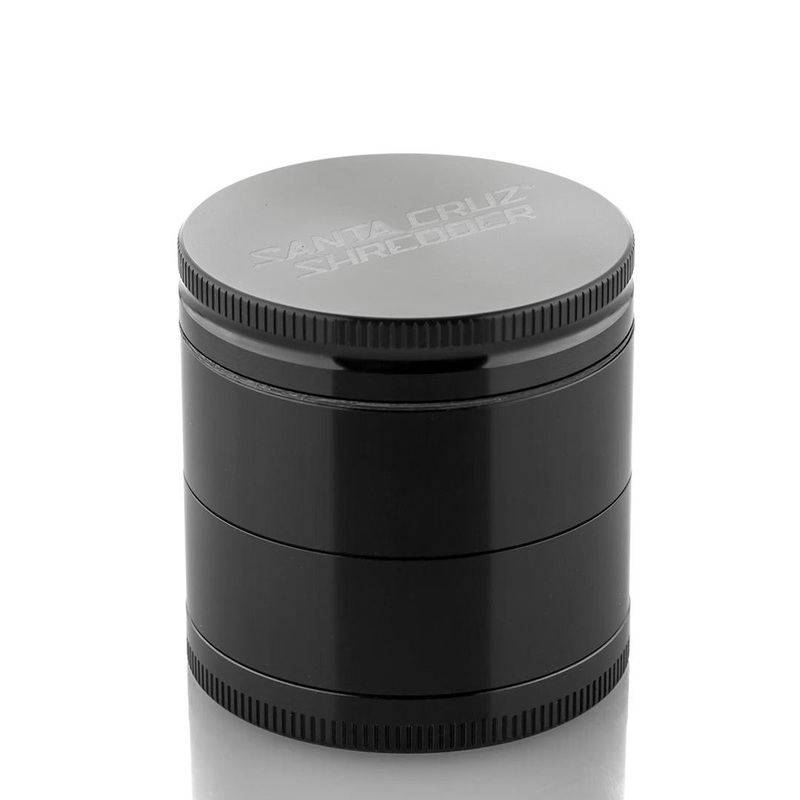 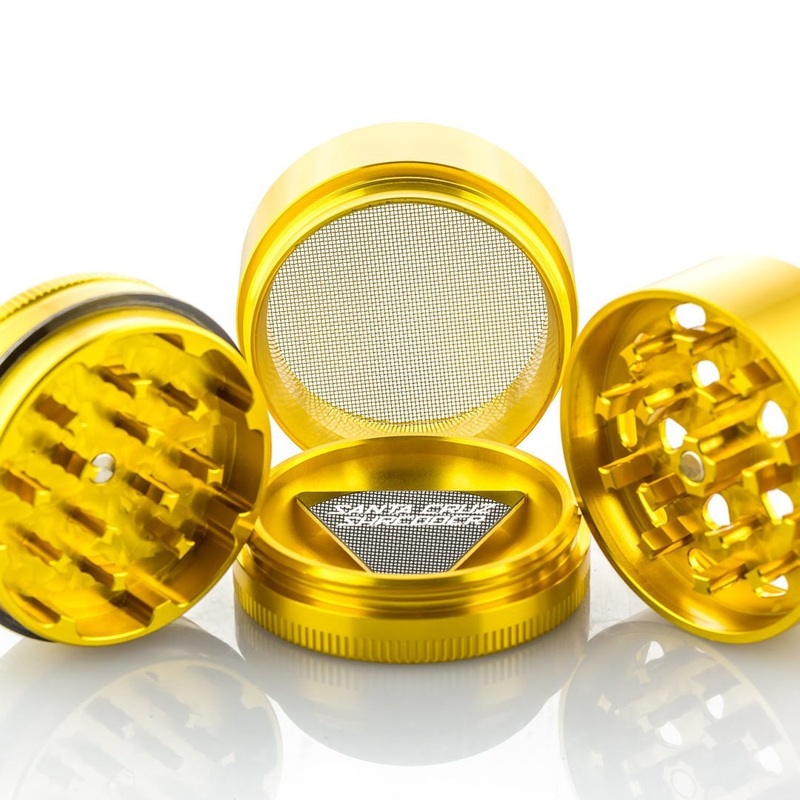 The Santa Cruz Shredder 4 Piece Medium Grinders offer the perfect mix between function and portability with it's small/pocket-friendly size and large internal storage compartment. 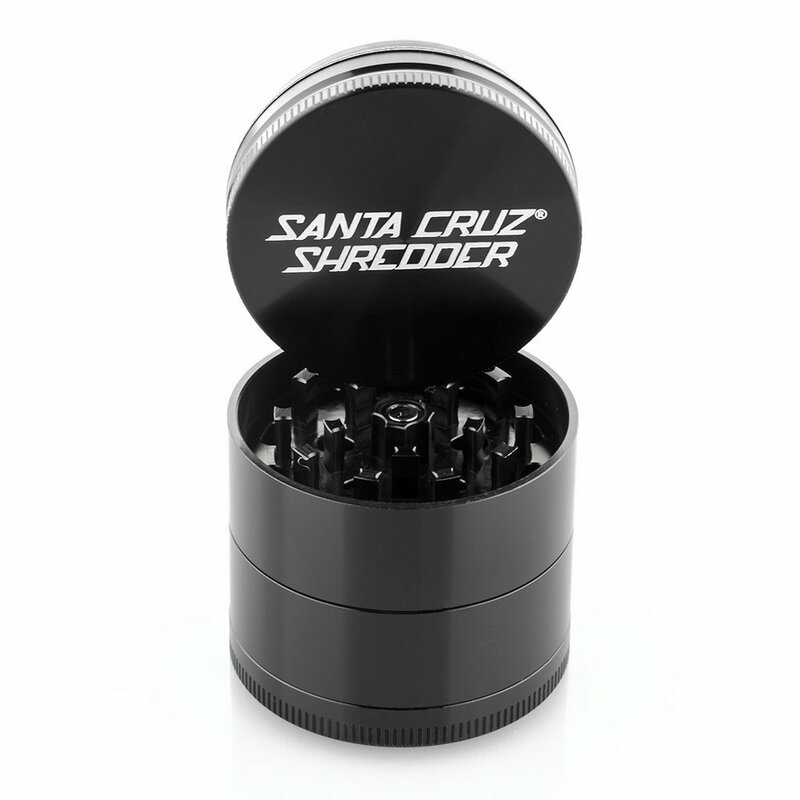 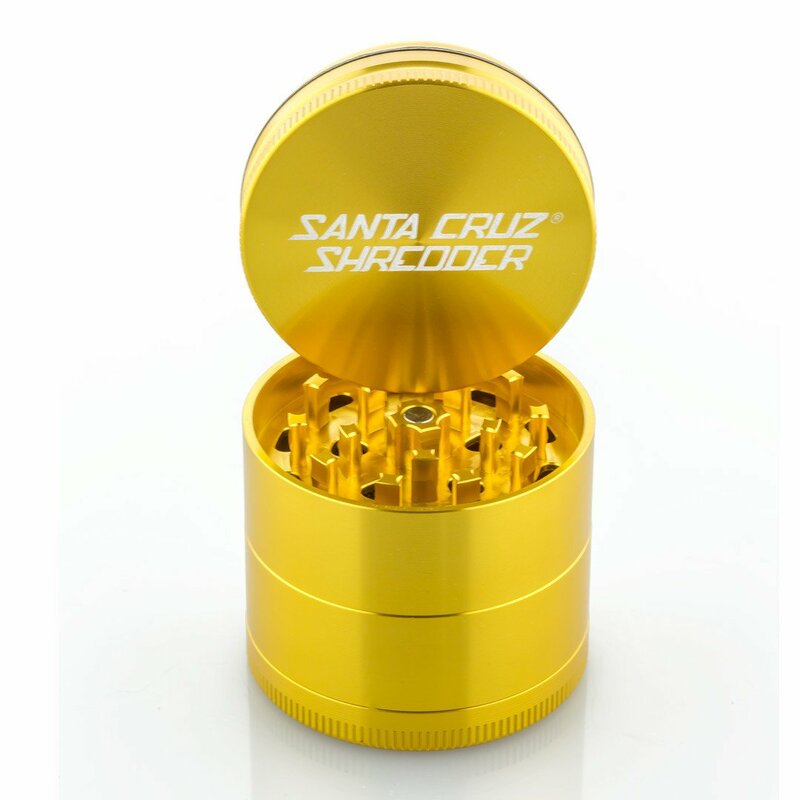 Each Santa Cruz Grinder custom designed in Santa Cruz, California by professionals who have years of experience under their belt and their products certainly show it. 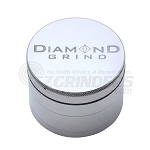 Fully assembled the Medium 4 Part series includes thee chambers for grinding, sifting, and collecting pollen. 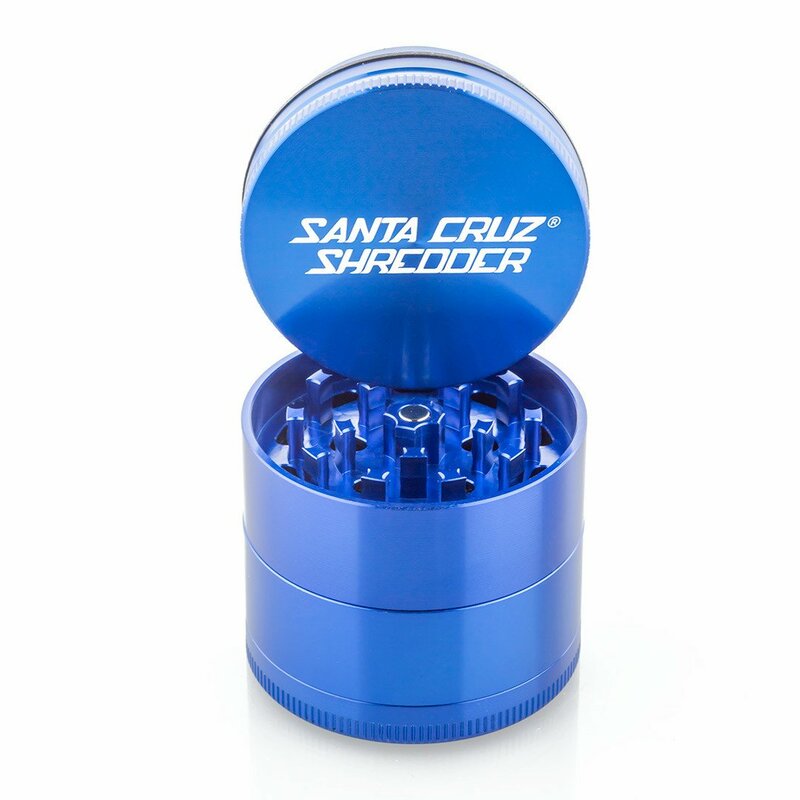 Over the years Santa Cruz has improved on every aspect their 4 Piece model to now bring you the absolute best on the market. 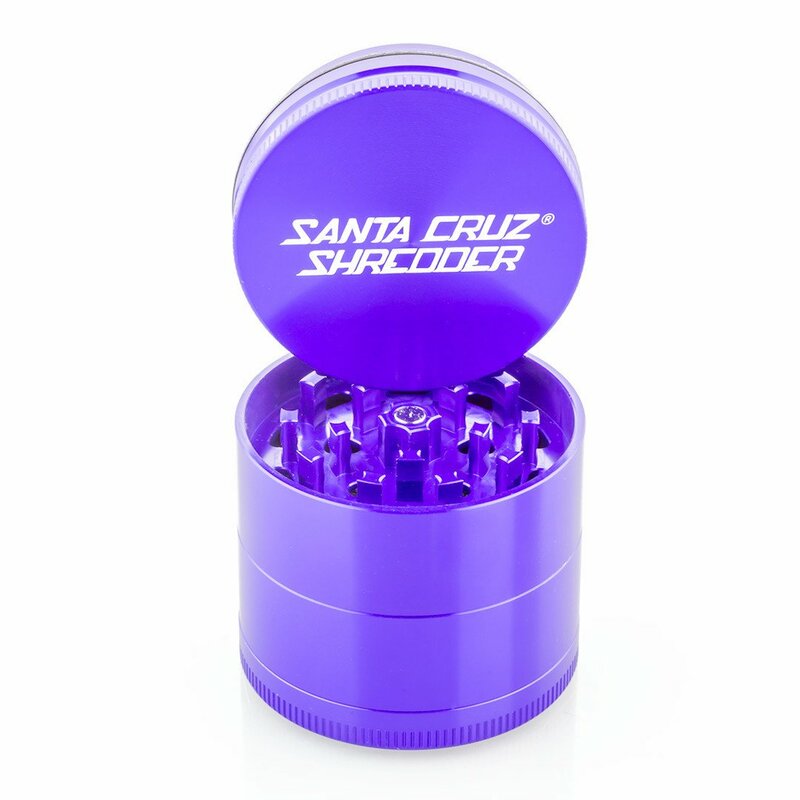 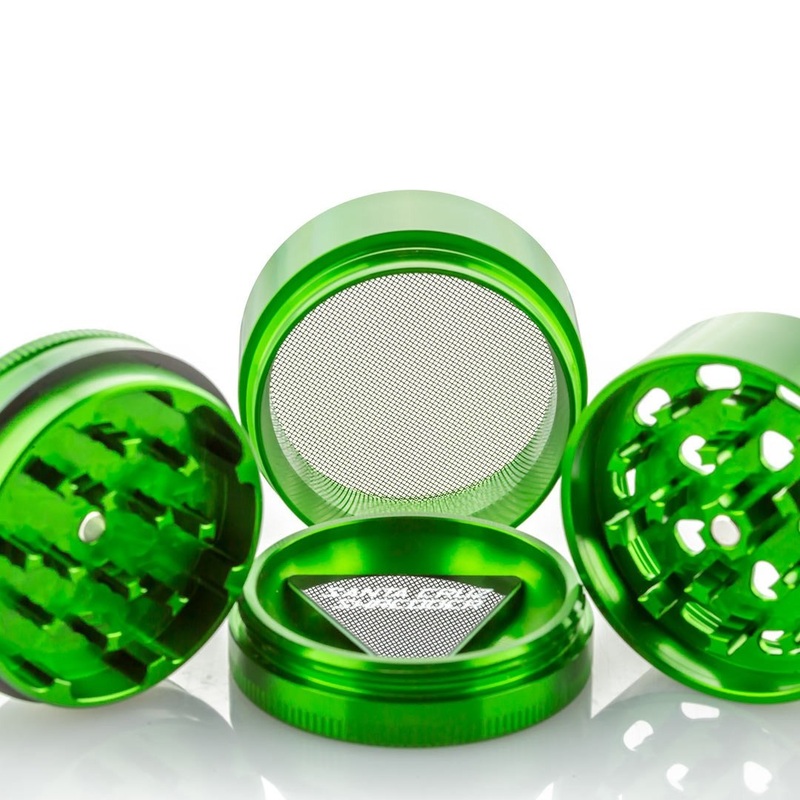 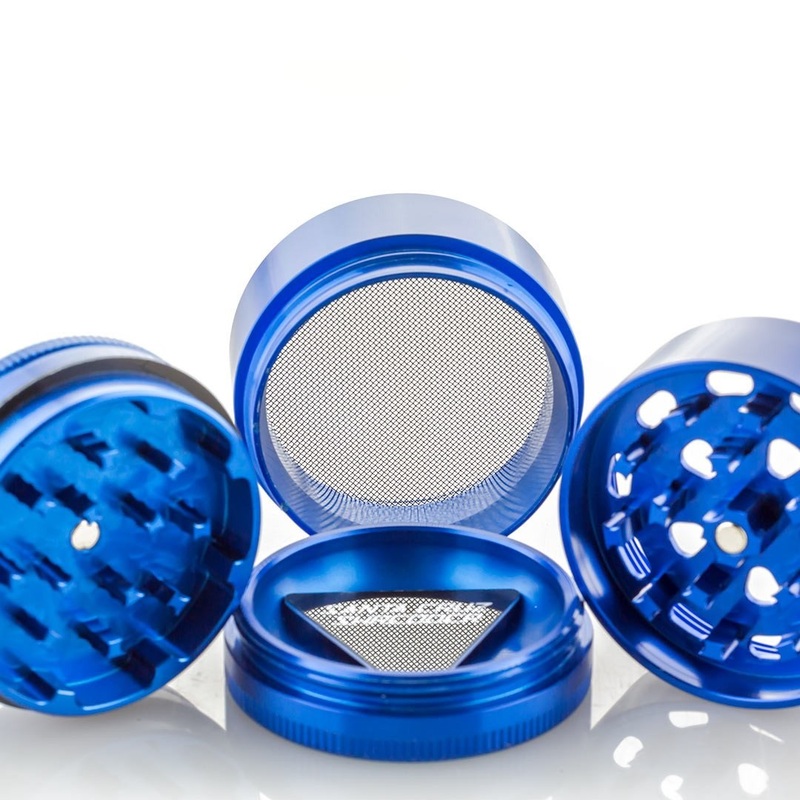 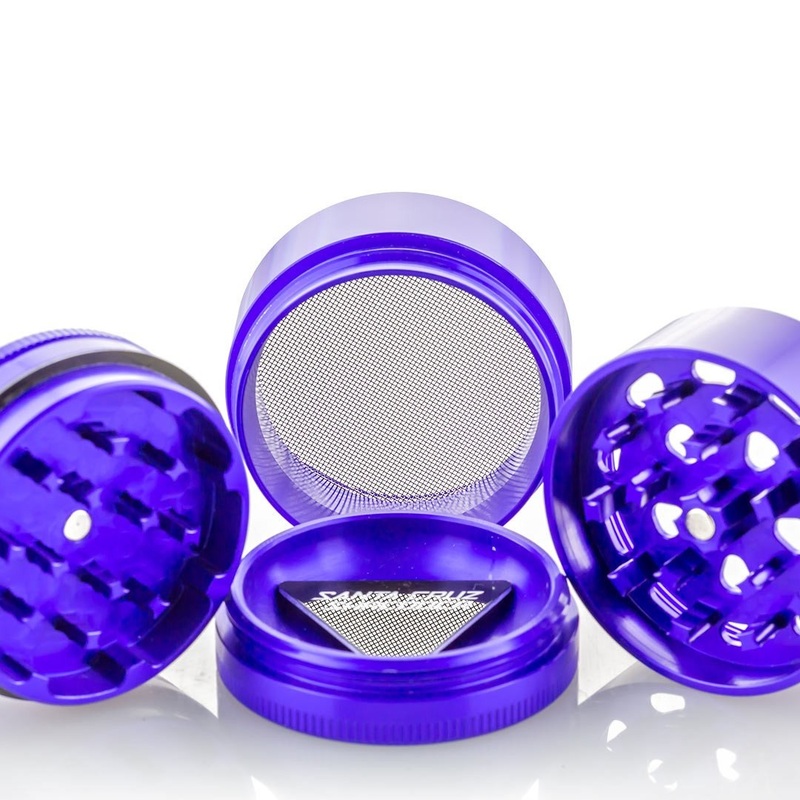 The grinder itself is machined from an ultrasonically cleansed aircraft grade anodized aluminum that makes it as durable as they come. 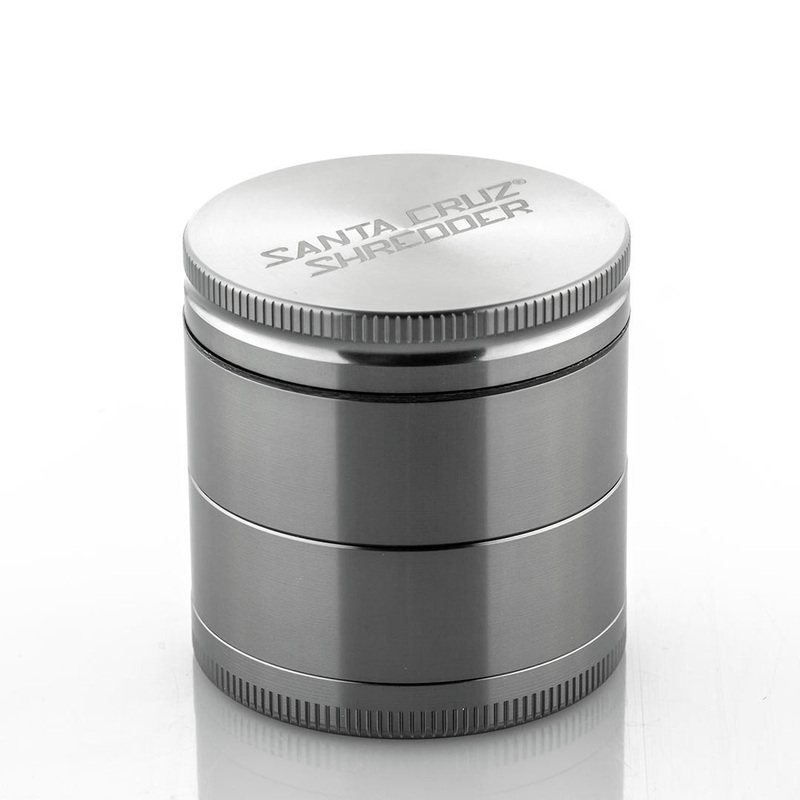 You will not have to worry about scratches, corrosion or scuffs, after years of normal use it will look just as it did the day you bought it. 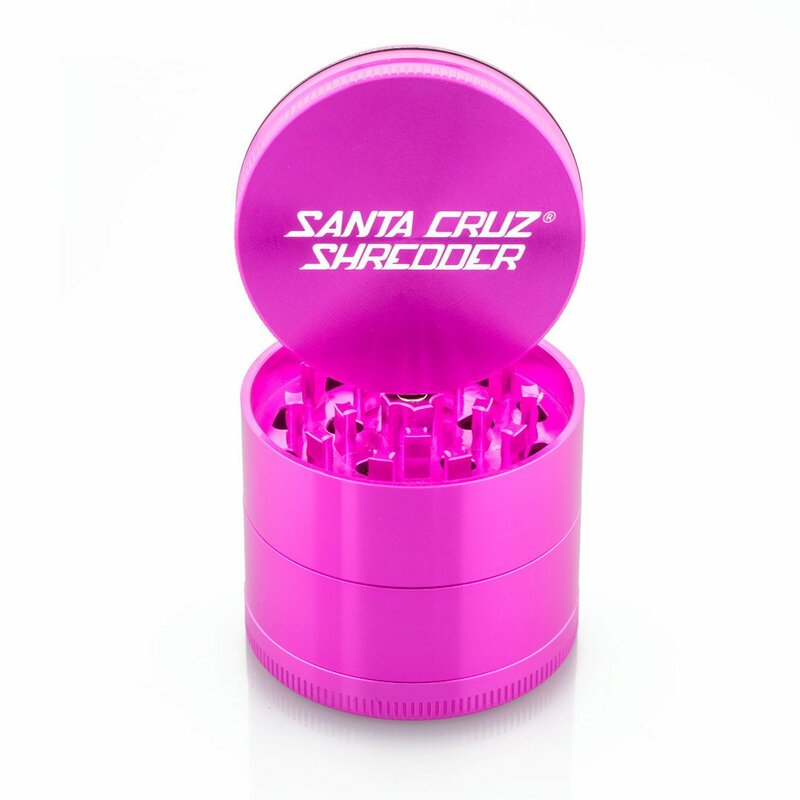 Santa Cruz incorporates a revolutionary tooth design that shreds from multiple angles to create the perfect fluffy consistency with every grind. 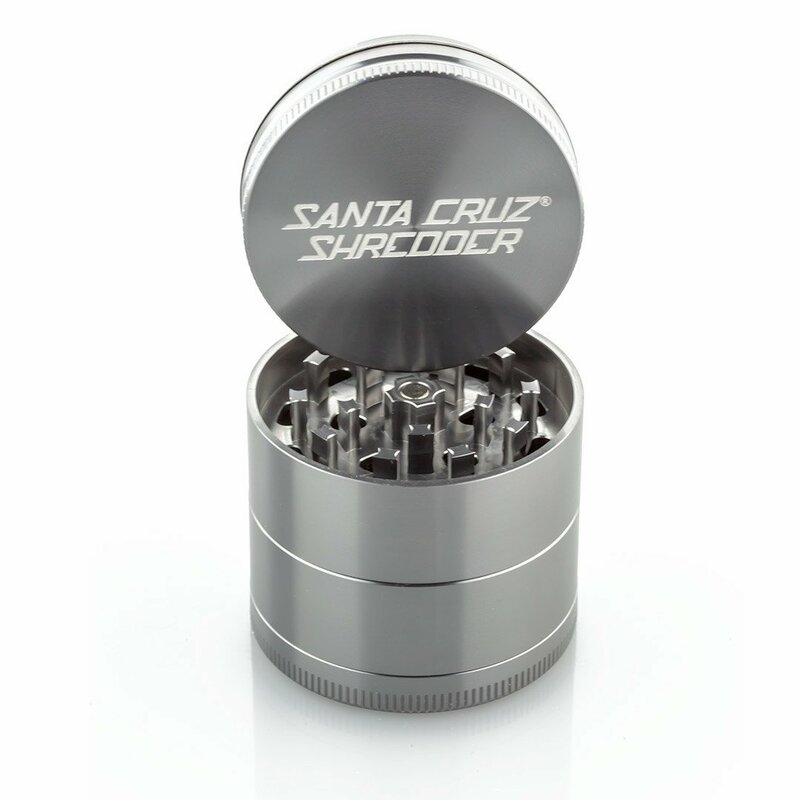 Their teeth are twice as strong as the competition and guaranteed to never release burrs or flakes of aluminum. 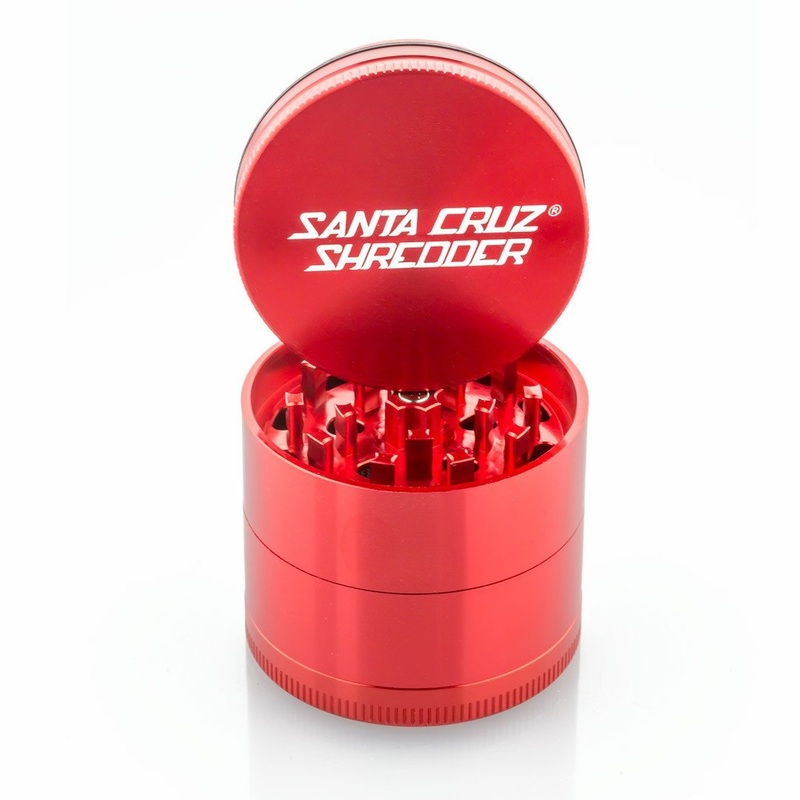 Every Santa Cruz Shredder also comes equipped with strong neodymium rare earth magnets, an extremely reliable 7-Catch thread pattern that never cross-threads and a premium T304 precision woven Stainless Steel screen for the finest quality sift around.